Welcome to the official Mother’s Day kick-off here on the Canadian Gift Guide. Although I’ve given you plenty of ideas over the last little bit on potential M-day gifts, I’m happy to also present a series of dedicated mama’s day posts depending on the ‘type’ of mom you’re buying for (you’ll see what I mean). Today though we’re focusing in on mom. Your mom. The woman that gave you life, raised you, or some combination of the two. This is the one day per year she’s really and truly acknowledged for years of unpaid labour in raising you to be the wonderful, blog-reading person that you are, so treat her right with one of these fab gift ideas. Little-known fact: family heirlooms have to start somewhere, and believe me when I say you’d kill to have one of these vintage Bolivian artisan-crafted quilts in your linen closet at some point. 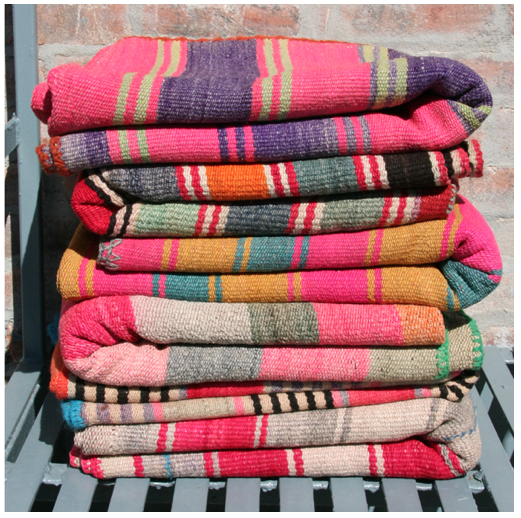 If you’ve been a particularly bad kid this year or if you simply want to spoil mom, treat her with a one-of-a-kind frasada, hand-woven from sheep’s wool in warm shades that easily channel the dreamy sunsets of South America. This isn’t the last time you’ll see jewelry as an optimal choice for Mother’s Day on this list – after all, a token delivered on Mother’s Day is a year-round reminder of how much you love your main mama. 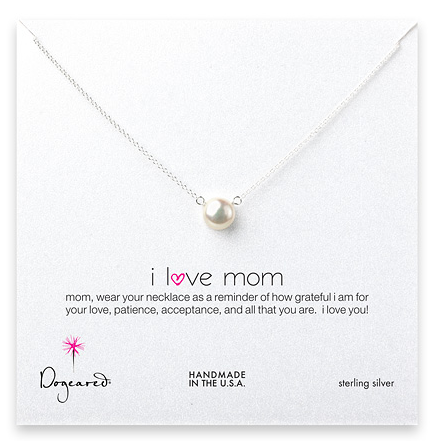 That’s never been simpler to express than with Dogeared’s simple ‘I Love Mom’ sterling silver necklace with a white pearl nestled in the centre – the accompanying backing does all the work of a greeting card, and the price point makes it a great pick for teens and twentysomethings on a limited budget. Not quite to your taste? Dogeared allows you to design-your-own piece just for Mom…but be forewarned, it gets mighty pricy mighty fast when you can’t help but want to load it up with pretty gems and elegant charms. If your mom’s got a green thumb on her, let her get a grip her precious plants with this innovative, Swedish-designed watering can. 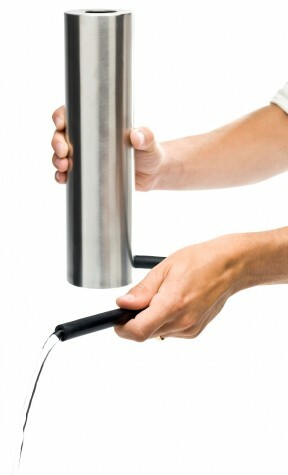 Designed to take up little space (a magnet lets the hose attach when not in use) and ergonomic (no more straining your wrist as you tip the can over), plus look mighty sleek, this is a choice idea for the gal who has everything. 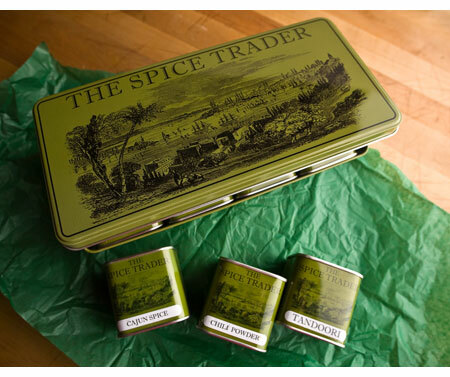 If your mom is truly a gourmand in the kitchen – at least to your tastebuds – indulge in her desire to stock her pantry with luxe goods with one of The Spice Trader’s organic cooking aid boxes. Each one is packed with at least a half-dozen organic spices, seasonings, and flavourings from the everyday – ginger and vanilla extract – to the exotic – ground galangal and lavender flower. Go for something that’ll refresh her essentials, or encourage her to branch out (provide the accompanying cookbook!) into French, Thai, or Indian cooking. Many mom’s are into the yoga thing – at any age – and many of them covet, if they don’t have one already, a mat of their own. 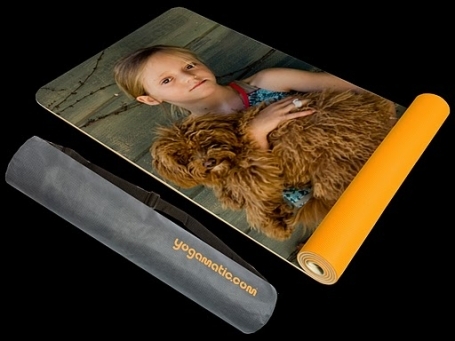 Instead of purchasing one from the store, consider giving her a custom reminder of one of her favourite things – whether it be a vintage photo of your family you’ve uploaded yourself, or one of the hundreds of playful designs in the YogaMatic library, let her zen moment also take her to an instant happy place upon unrolling her mat.